The Vagaband‘s soulful, rustic approach to their music makes their extraordinary blend of Americana, toe-tapping folk-jazz and soulful rock a unique proposition in an age where music is often presented in a way that is too studied, too knowing and somewhat safe. Their musicianship means that consummate band-leader José McGill can rely on the band for sturdy backing as well as stellar improvisation for the fantastic home-grown repertoire and the inspired cover versions too. 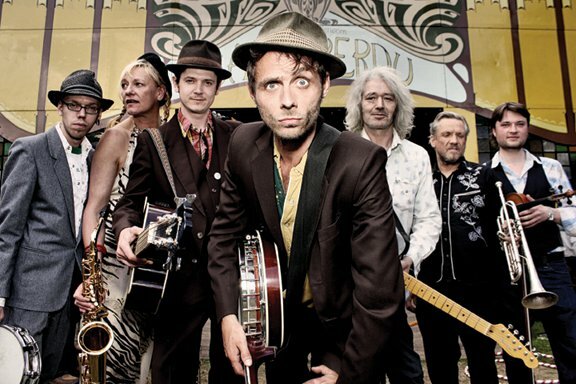 The Vagaband are designed to be lapped up in huge gulps by an audience that likes to have all their musical needs satisfied and their dancing shoes cajoled into action as well. They are nigh-on impossible to dislike. Heroes in their home town, walk with them as they take on the world.